HIDALGO — With three of the RGV Vipers’ primary scorers and ballhandlers unavailable for Friday’s game, Houston Rockets assignment player Troy Williams looked to attack on offense. Williams scored 30 points with 11 rebounds to lead a huge night for RGV’s frontcourt and lift the Vipers to a 119-101 win at State Farm Arena. Williams’ 30 points were two off a season high, and he racked them up on 27 shots — 16 more than RGV’s next highest total. The Vipers were without usual backcourt stalwarts R.J. Hunter (19.9 points per game), Monte Morris (18.5 points, 6.5 assists per game) and Markel Brown (14.4 points, 5.2 rebounds per game). Morris was with the Denver Nuggets per his two-way contract and had 10 points with six assists and three steals in 22 minutes of a 130-104 loss to the Houston Rockets on Friday. Brown, a two-way player for the Rockets, also appeared in that game, scoring three points with two assists in nine minutes. Hunter was with the Vipers but was inactive due to injury. The Vipers scored the final basket of the third quarter and the first eight points of the fourth — a 10-0 run to build a 101-89 lead. Midway through the period, RGV held Iowa scoreless for nearly five minutes — from 8:49 to 4:00. The Vipers scored 10 points during the Wolves’ drought to build a 111-97 edge. The Wolves never threatened late. The Wolves totaled just 12 points in the fourth quarter, marking one of the Vipers’ best defensive quarters of the year. RGV allowed 12 points to Long Island during the second quarter of a 111-94 win on Dec. 6 and yielded only nine points to Reno during the fourth quarter of a 114-100 win on Nov. 25. Iowa shot 22.7 percent during Friday’s fourth quarter. The Wolves didn’t attempt a free throw, grabbed just three offensive rebounds and turned the ball over five times during the period. 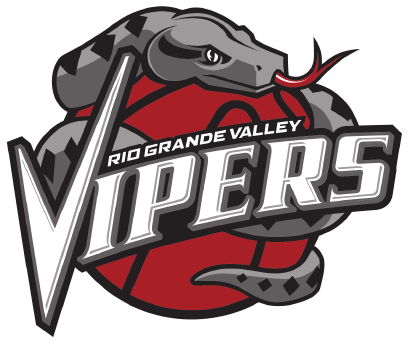 Once owners of the best record in the G League after a 13-game winning streak, the Vipers entered Friday having lost five of their last six games and eight of their last 10. Friday’s win lifts RGV to 21-17 on the year, in the thick of the playoff race in the Western Conference. The Vipers’ frontcourt controlled the game throughout, as RGV scored 70 points in the paint to Iowa’s 36 and owned a 55-33 advantage in rebounding. Chris Walker pulled in 15 points with 11 rebounds, Isaiah Hartenstein scored 14 points with eight rebounds, and Chinanu Onuaku scored 12 points. One of the beneficiaries of the change was Kyle Davis, who often manned the point for RGV in his most significant action since being acquired on Jan. 22. He entered the night with just three points in 14 minutes across three games before posting 10 points, six assists and three rebounds in 25 minutes on Friday. Davis participated in training camp with the Vipers but was one of the team’s final cuts. He continued to train at home in Chicago before getting the call back, and he said he’s been incessantly studying the team’s plays on an iPad and staying after practice to get up to speed.